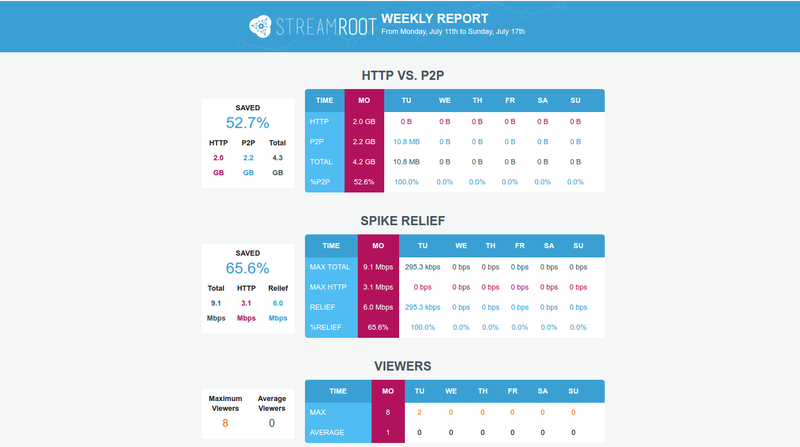 Streamroot offers the possibility to receive daily, weekly or monthly reports on your streaming data. 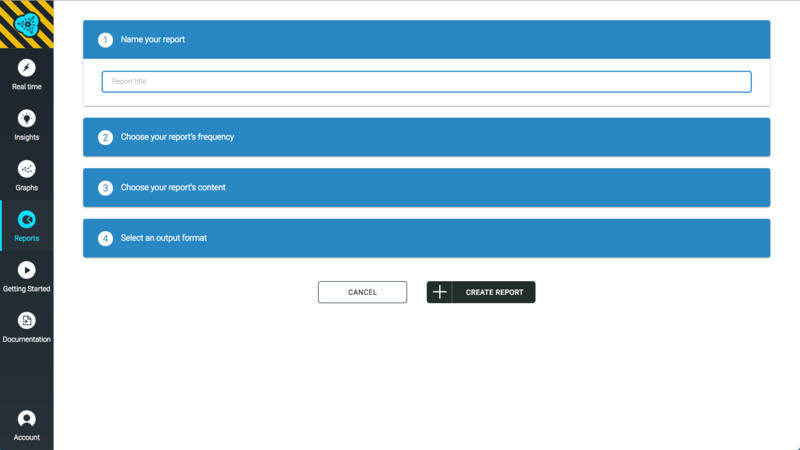 This tutorial explains how to create and modify reports according to your needs. Click on the REPORTS tab of the dashboard and click on CREATE REPORT. Give your report a name. Choose how often you would like to receive your report (daily, monthly or weekly). 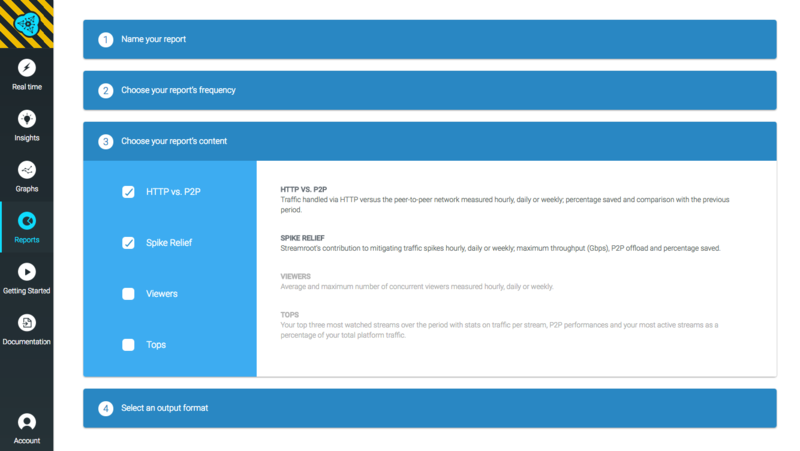 Choose the data you want your report to show: P2P performance, spike relief, viewers data and/or your top-three streams. Indicate the email address to which you want the report sent. The email address linked to your dashboard account appears by default; however, you can modify the field. You may add other email addresses and delete them if needed using the +and the trash button. Finalize the report by clicking on the CREATE REPORT button. 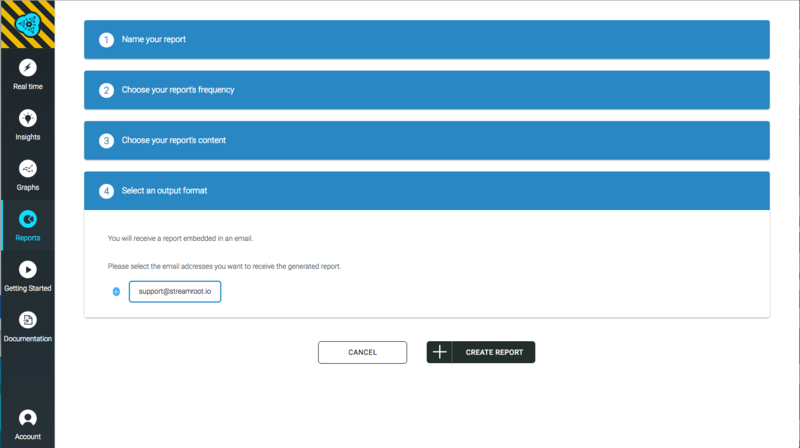 Your new report now appears in the Reports section, and you can create additional reports by clicking on the CREATE NEW REPORT button. For each data metric chosen, a general summary of the week appears on the lefthand side. The table on the right shows the data day per day, with the purple column indicating the days with the highest performances. 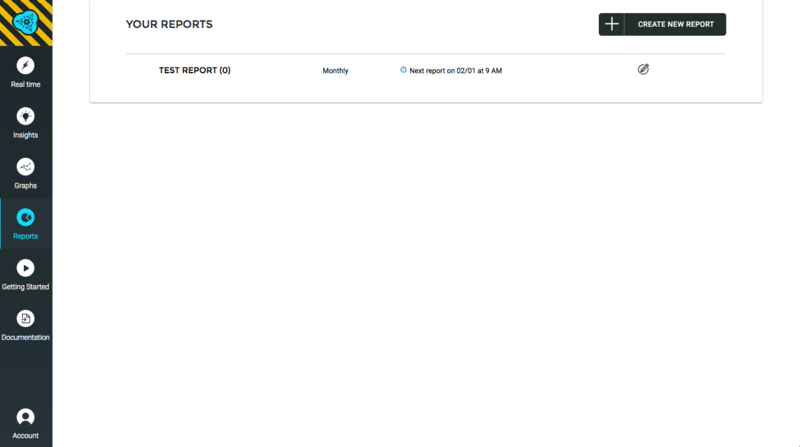 Clicking on the + button next to the report name produces a list of the reports sent. You can modify a report by clicking on the pen button on the right. 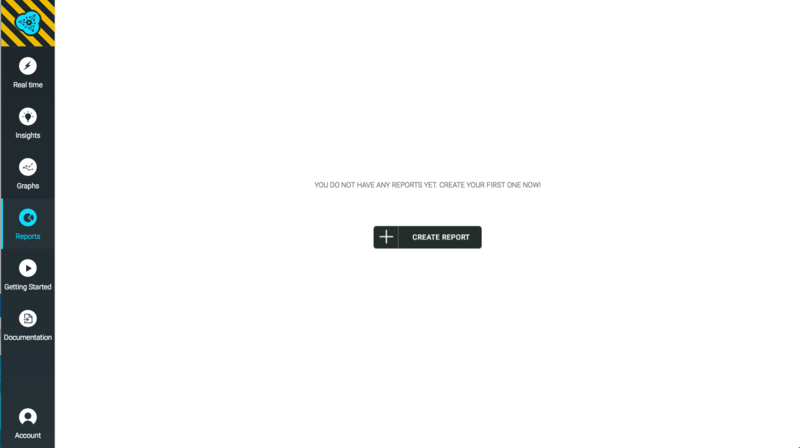 You are then taken to the same screen you used when creating your report. 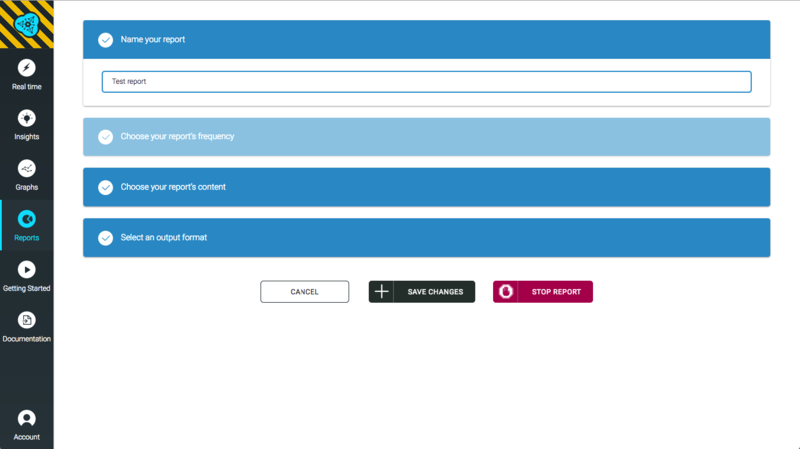 You can modify each part of your report the same way you did when creating the report, except for the frequency which cannot be changed. A report cannot be deleted from your dashboard; however, it can be stopped so that you no longer receive emails. 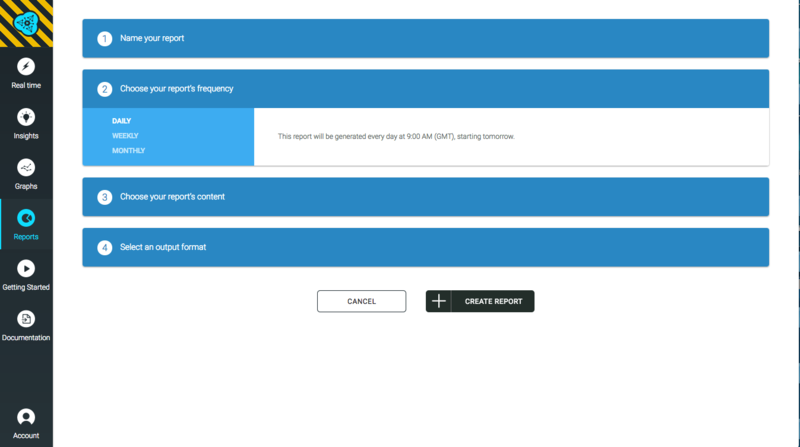 To stop sending a report, click the modify button on the right, then on the STOP REPORT button.